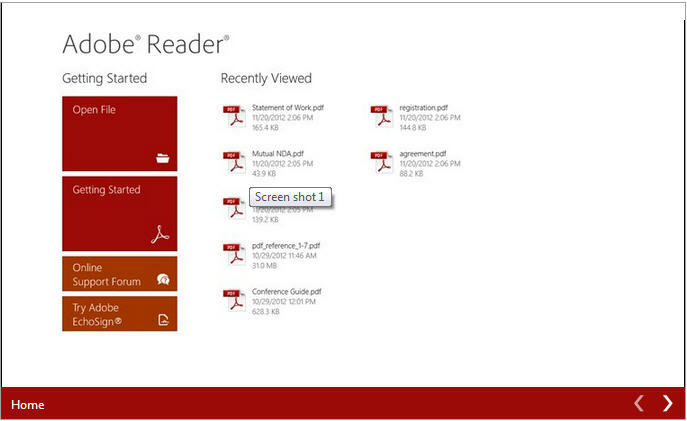 Adobe has just released the official Adobe Reader application for Windows 8. You can download the app from the built-in store both on Windows RT and Windows 8 systems. It is basically a version of Adobe Reader that puts all emphasize on the reading part. The program ships with little options. You can browse the local system for pdf documents to view them in Adobe Reader, use it to view pdf email attachments and pdf documents that you find on the web (when you download them) but that’s about it in terms of functionality.